Crazy Vegas Casino is a top rated online casino real money NZ guide. We offer a guide to the best online casinos NZ offering top bonus and promotions. Play all your favorite online pokies and classic table games such as roulette and blackjack and win real money from top online gambling NZ sites. Kiwi players can find a casino experience for them with a wide selection of online casino games to play for free or real money. Crazy Vegas Casino recommends games compatible with your desktop and mobile casino device. Find reviews, progressive jackpots, and superior bonuses from top-rated online casinos in New Zealand. Kiwi gambling sites are offer everything a player needs. We feature the best of the best when it comes to NZ casino sites. We use a strict criterion to rate these casinos. We will also let you know which casinos online NZ to stay away from and which are safe. To help you understand what to look out for and expect from New Zealand’s safest online casinos, we have outlined the basic laws and regulations for online gambling in New Zealand below. New Zealand has a long history of gambling legislation. These legislations ensure gambling occurs in a safe and regulated environment. There are also a number of regulatory agencies that monitor both online and land-based casinos. Majority of regulatory bodies are controlled by the Department of Internal Affairs. However, there also other institutions who assist with regulating gambling in New Zealand. The New Zealand Gambling Commission is an independent statutory-making body establishment which falls under the Gambling Act of 2003. The Gambling Commission is responsible for hearing casino licensing applications. They also appeal any licensing and enforcement decisions relating to gaming machines and non-gaming activities made by the Secretary of Internal Affairs. The Gambling Commission also has the authority of a Commission of Inquiry. The Gambling Commission approves any agreements or changes between casino operators and venue license holders. They also have the ability to revoke license conditions. The purpose of the Ministry of Health is to help with funding and coordinating problem gambling services. 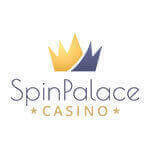 They serve with both a long-term and short-term plan to minimise the harm of real money gambling. The Department of Internal Affairs is responsible for administrating the gambling legislation. The provide licenses for gambling activities such as lotteries but not for casino operations. They ensure all gambling activities within New Zealand comply with the legislation. The Department of Internal Affairs is also responsible for providing public information and education about gambling. This includes the harmful effects of gambling. Gambling laws are put in place to maintain fair and regulated gambling. These laws are put in place by the Department of Internal Affairs for casino and non-casino gambling services. This department regularly audits and investigates all casino gaming activities. They are also responsible for issuing licenses and certificates of approval. Safe gambling sites online in New Zealand is the top priority of all online casinos real money. As part of our safety test, we ensure the New Zealand online casino sites have a green lock on their website. The lock is in the search bar of the search engine. We also go one step further and test the encryption technology of the best casino sites. 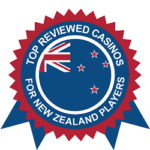 Any Kiwi online casino with the latest SSL encryption software or higher will get our seal of approval. The bonus rewards are what put the best gambling site ahead of the rest. 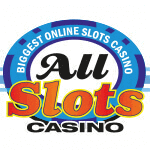 The first thing we look at when it comes to a gambling site is the welcome offer. The terms and conditions for each bonus and promotion also need to be explicitly stated or linked for players. Are the Online Casino Games in New Zealand Worth Playing? New Zealand casino online real money games need to feature cutting-edge graphics and sound effects. The best casinos online also need to ensure they use gaming providers that are certified. With the mobile casino world booming, top ten online casinos should have games that are responsive for players on the go. As part of our final test, we make sure the best internet casino sites have support readily available to help you 24/7. We would not want you to have an unpleasant experience because there was no support to assist you. Casino online players should make use of the free bonuses awarded to them. You can use the welcome bonus amount to play free online NZ casino games. Online pokies are fast becoming the most enjoyed real money casino game in New Zealand. Find out where to play the best online pokies with the highest rewards. Pokies games online have far more to offer than any land-based casino. Click to find out more about Kiwi pokies online. Blackjack is a card casino game with the objective of reaching 21. Players need to get a hand total as close to 21, or higher than the dealer without going bust to win. At the biggest online casinos, players can enjoy blackjack online for fun or real money rewards. Click to find the top blackjack tips. Top casinos for craps provide players with the best tips for winning. Craps is a dice casino game where players bet on the outcome of a dice roll or series of dice rolls. Online craps have many different betting options. Click to find out where the best betting options are with a game of craps. Online video poker is a famous casino game that uses five cards. In this game, players have the option to discard and receive new cards to make the strongest possible video poker hand. Get top-rated video poker tips and Kiwi casinos here. Online roulette is one of the most exciting casino games you can experience online. With real money roulette, players will wager on where they think the ball will land. Kiwi casino players can wager on a single number or group of numbers in a game of roulette online. Baccarat is a card comparing game where players need to get a hand total as close to 9 from two or three cards. This casino game has one of the lowest house edges. Baccarat is also one of the most popular casino table games New Zealand online casino players can grasp. Online casino players safety is important. As the New Zealand online casino industry gains popularity, players need to check whether the real money casinos online they bet on have safety measures. As a new player, here are the best indicators of a safe online casino. Games are compatible with both mobile and desktop devices. The site offers top online games such as pokies, blackjack and craps. Customer support services operate 24/7. The online casino offers many different banking methods. Online gambling world allows players can make quick and easy deposits and withdrawals. Games provide good Return to Player (RTP) rates. Games use Random Number Generator (RNG) algorithms. Protection and safety of private information. 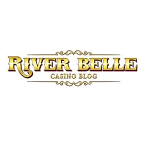 Casinos use Secure Socket Layer (SSL) data encryption software. Online casinos comply to the code of fair gambling practices. Understand that you may lose real money gambling. Set online casino games real money limits. Players frequently ask the same questions about the best New Zealand online casino real money sites. We compiled a list of these questions and our answers.